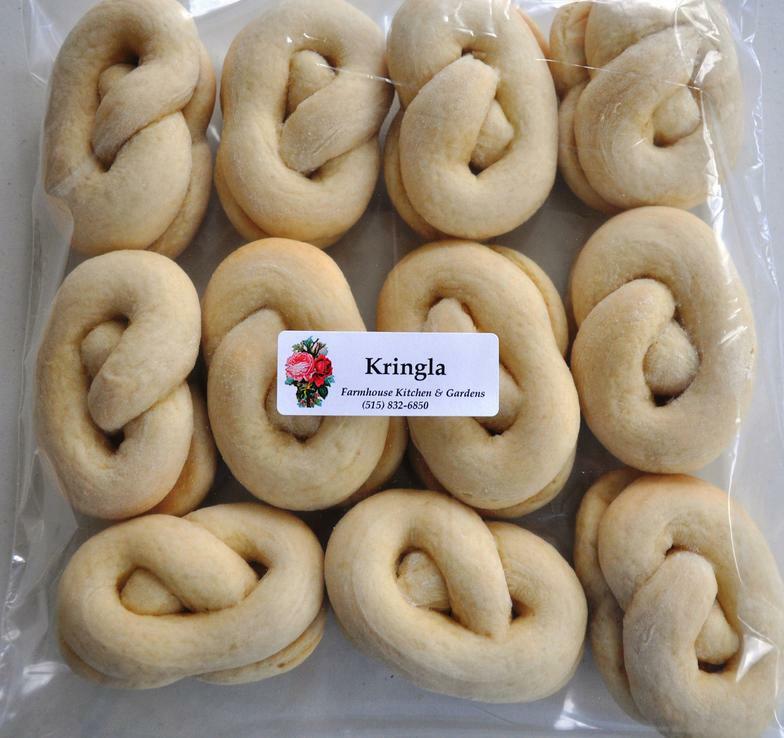 Formed in the traditional pretzel shape and baked fresh daily, our kringla is made using only the finest, freshest, highest quality ingredients available. 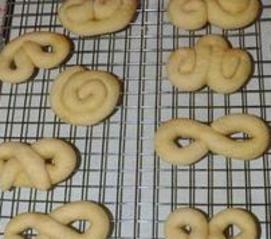 Other popular shapes include figure 8 (infinity), bows, knots, letters, numbers, hearts, and bunnies. Other fun shapes may be made to order. Interested in learning more about our Kringla? Many years ago, an Italian monk made a simple bread to remind his brother monks that Lent was a time of prayer. 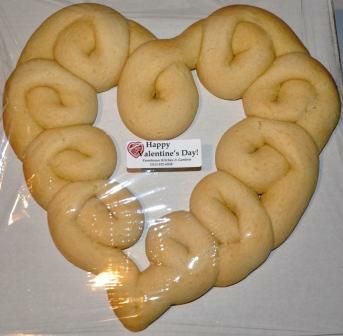 He rolled the bread dough in strips and shaped them in the form of arms crossed over the heart in a prayerful gesture. These little breads were called bracellae, the Latin word for "little arms." 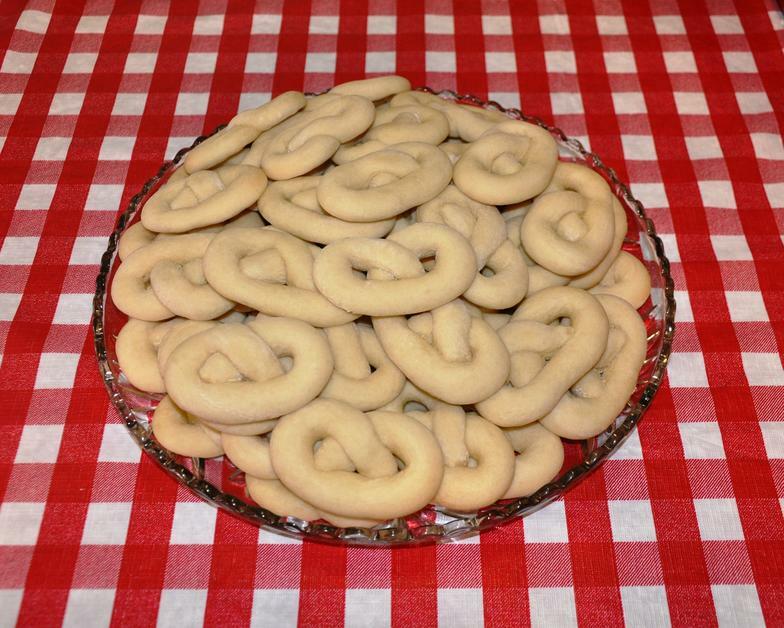 From this word came the German word bretzel, and our word pretzel. 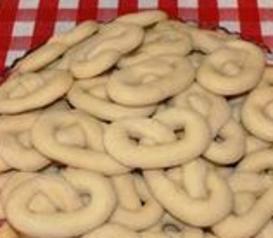 So as tradition, when forming our Farmhouse kringla, we use the pretzel shape. 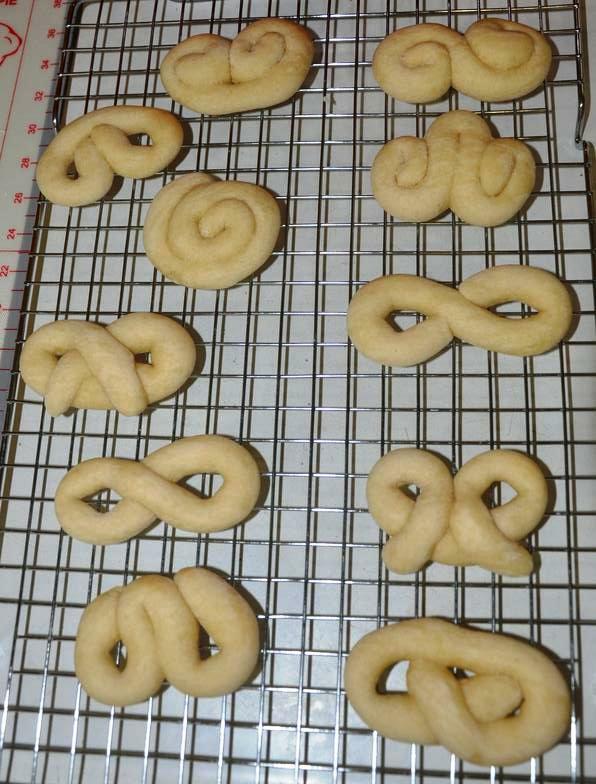 And small prayers may also be given ~ as each cookie is hand-rolled, twisted & shaped for baking! 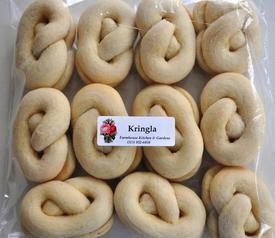 Got Kringla? It's not just for Christmas! !